The InnoSpire Elegance from Philips Respironics, provides fast, efficient and reliable drug delivery to patients at home. 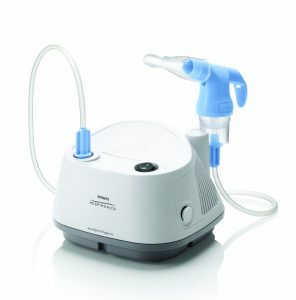 A powerful compressor and a compact design combine to create a nebulizer system patients will value. Active Venturi system for faster delivery – Elegance works efficiently with SideStream nebulizers that feature an active Venturi system and provide air flow in addition to that supplied by the compressor, resulting in faster drug delivery and shorter treatment times. Easy to use with fewer parts to assemble and clean than other conventional nebulizers. 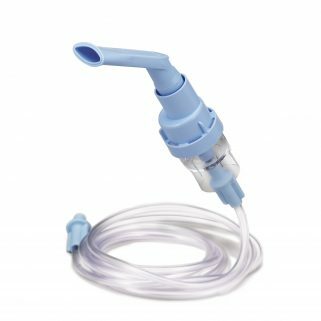 Enhanced drug delivery – The breath-enhanced SideStream Plus nebulizers features an easy action inspiratory valve that opens on inspiration to boost medication delivery and closes on exhalation, preserving medication and reducing waste. 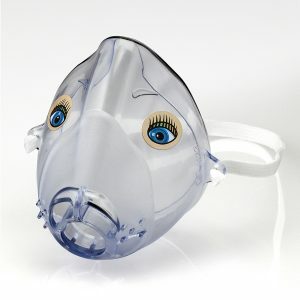 Less pressure is required to open the inspiratory valve compared to other breath-enhanced nebulizers. Compact design that weighs only 3.3 lbs.